This research consists out of several sections. The largest section called Report - Going Cloud, contains the Introduction, Conclusions and Recommendations and is a piece on its own. In there the current situation of LC is described with its pitfalls, development and necessary upgrades needed for its business processes and infrastructure. The section finishes with conclusive information and recommendations for the road ahead. In the Analysis section it is explained what (strategic) business analysis is and which existing business processes currently can be found within LC. This section describes possible new business processes and infrastructure with a focus on the shift from local implementation towards a Cloud solution. Several strategic analysis methodologies are explained and how they can be used within LC. 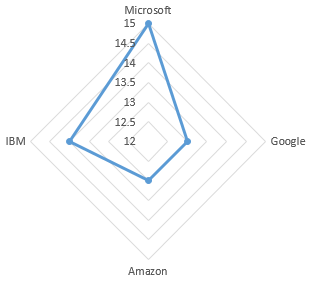 The software comparison section provides an overview of the possible candidates being able to offer the integrated Cloud solution. In this overview the pros and cons of these candidates are reflected in a table. 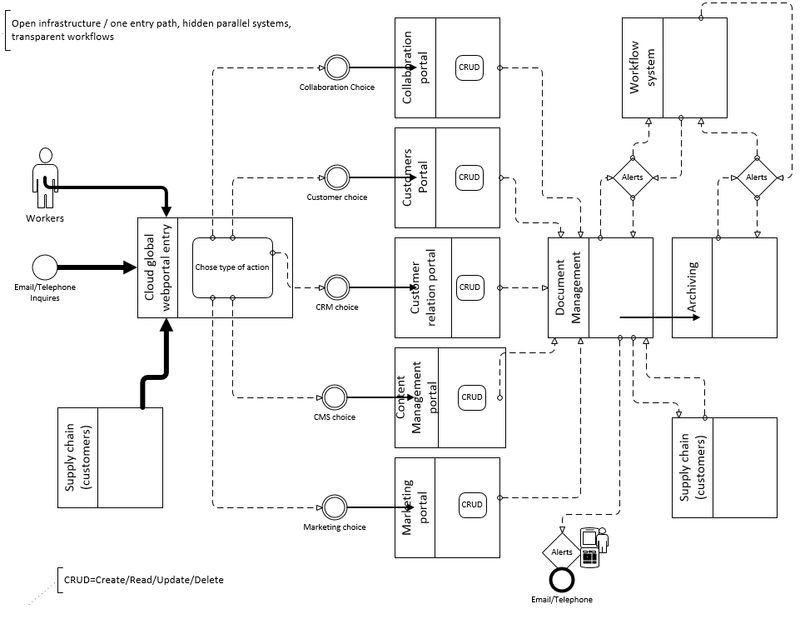 The current business process models of LC are analyzed and why some need to change. To clarify the situation and needed changes, some figures are included of the current and proposed infrastructure and business processes. Underneath this analysis lies the fundamental focus of MTOC to make the shift from an on premise infrastructure towards a Cloud based solution where information is available anywhere, anytime and from any device (AAAD). Business process models can be related to change management. Business Process Management (BPM) can help LC during the creation, development, optimization and maintenance of its business processes towards a mature internal and external environment. The different phases of BPM (analysis, design, implementation, deployment, monitoring and evaluation) should be taken into account for a successful transition towards a Cloud solution (Laguna & Marklund, 2013; Gerth, 2013). To minimize operational costs & infrastructure investments and to optimize flexibility towards increased demands from clients, LC should move to the Cloud. All IT related infrastructure, processes and related activities should be integrated in a virtual online environment. The proposed infrastructure and businesses processes reflect these changes. It is expected that with this move the different phases of BPM will positively be influenced on all angles of the iron triangle being money, time and resources (Hoppe, 2015; Reese, 2009). The move to the Cloud includes the change from having a closed computer system towards an open environment. Open computer systems have the advantage of interoperability, portability, open and shared software standards (Conor, 1995; Cassel & Austing, 2000) and being available AAAD (Poupore, 2014). There are several organizations claiming they are available AAAD. 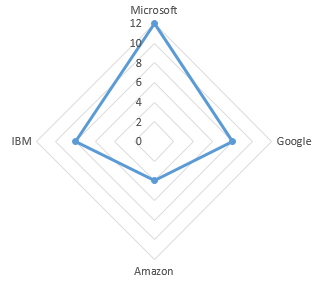 The Cloud providers analyzed are Microsoft, Amazon, Google and IBM. The focus is on what integration they offer and how this can be beneficial for LC to make the shift towards a virtual environment being AAAD. Figure : Current infrastructure of LC. Closed private network behind internal IP range. Characteristics: private hosting, management of infrastructure, software, security and licenses, error prone and not secure. Figure : Current business processes of LC. They are paralleled, labor intensive, separated on different systems, error prone and not secure. Figure : Proposed infrastructure of LC. Open Cloud based secured system behind public configurable IP ranges and secured connection with on premise network. Characteristics: public hosting, public management of infrastructure, software, security and licenses (Microsoft, 2016). Figure : Proposed business processes of LC. Single entry, automatic, workflow based, integrated within overall system, layered secured and accessible for all information systems and suppliers AAAD. Two main terms are important for LC related to strategic analysis namely business analysis and strategic planning. Business analysis can be defined as the tasks and techniques needed to understand the structure, politics, communication and operations of an organization (IIBA, 2016). It is about identifying business problems and opportunities and conducting an assessment of current and possible future solutions (Debra et al., 2014; Carkenord, 2008). The LC group discussed opportunities to develop their business into new and unexplored areas. Identifying business problems and opportunities is what business analysis is about and the current and possible newly to be implemented solutions within LC need further investigation. Strategic planning is mainly concerned with planning for the future. It is often used for long term planning and should include consideration of all stakeholders. It is about formulating a direction for LC and defining the activities needed to reach the goals. Strategic planning hooks up the organization, its resources and competences to its environmental context (ACCA, 2008). The LC group will transform from a small company towards increased maturity and this needs specific strategic business analysis and planning (Dadamo, 2009). Organizational factors can be related to environmental parameters and their dependencies predicts certain behavior and possibilities for the organization (Philip Selznick, 1957). The relationship of LC with these external factors needs more research to make the new strategic development a success and to determine how it must be placed within its environmental context. For this analysis the PESTLE (Politics, Economic, Social, Technological, Legal and Environment) forces can be used and how they relate to the development of LC (Grieves, 2010). The SWOT analysis can help LC to make better business decisions by maximizing its Strengths, minimize its Weaknesses, and optimize possible Opportunities to avoid Treats (Fine, 2010) during its development from small company towards a more mature organization. The organizational context (PESTLE) of LC will change with its development and SWOT can help to keep these models connected. The Strengths of LC are the high demands for its products and the quality they deliver. Their Opportunities are an increase and differentiation in market share when their IT infrastructure and business processes are upgraded. Together with the elements of strategic analysis and proper business analysis as described earlier, this upgrading must be done with the involvement of specialized professionals (MTOC). Implementing a Cloud based solution makes the IT infrastructure flexible, fast, and always available conform current market specifications (Jamsa, 2013). The old information placeholders will be replaced with online virtual computers, networks, applications and databases in the Cloud. Shared workspaces for its different operational groups and other data including documents, spreadsheets, email, calendars and financial information will be available AAAD, including alerts on a very wide range of triggers. Currently the main Weakness within LC is the information technology infrastructure (IT) which is not flexible and out of date. Much information resides in old fashioned electronic placeholders making it difficult to respond swiftly to demands from clients and changes in the market. As a Treat this has a negative effect on the competitiveness of LC and its possibilities to grow. 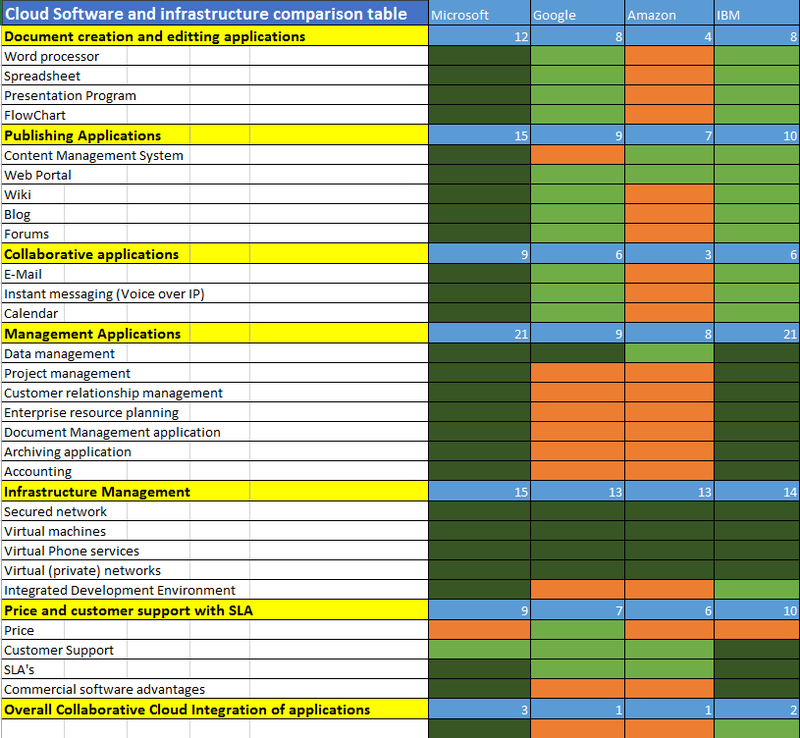 Figure : Overall comparison between Cloud providers and the integration of the management and office applications. Figure : Dark green (3) means very well integrated with positive results for LC. Orange (1) means not very well integrated and third party tools are needed to make it happen. Colors are counted, totaled and reflected in radar graphs. This report is based on the assumption that the desktop computers of LC will have Microsoft Windows 8.1 or higher. Server computers will have Windows Server 2012 or higher. Desktop computers will have Microsoft Office applications 2013 or higher. These choices are made to optimize the overall information system integration of LC based on a homogenous infrastructure for better collaboration (Salam et al., 2015). Google and IBM have their own pallet of document creation and editing programs. 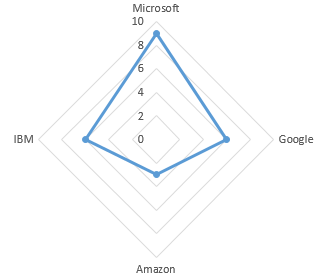 The integration of the Microsoft stack with the Microsoft operating systems is more advanced than its competitors. 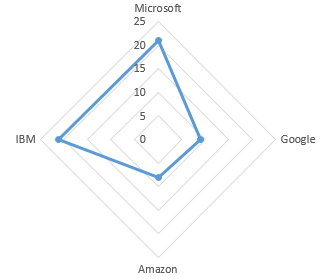 The Cloud of Microsoft shows a smooth application integration where Google and IBM need hacks and hooks to make it work (Branscombe, 2014; IBMVerse, 2015). IBM and Google have strong collaborative solutions but lack the advantage of having a worldwide desktop operating system made specifically to enhance the collaborative power and integration of these applications. 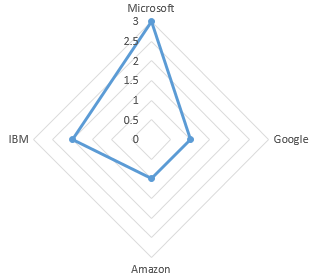 Amazon again is more focused on third party solutions (Blake, 2014; Backaitis, 2014). Management applications are often the core of doing healthy business within a transparent context. 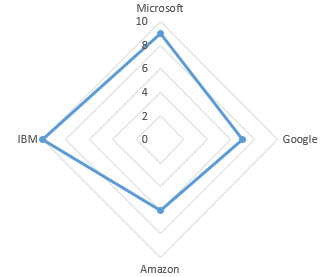 Microsoft and IBM do offer these solutions for years now, where Google and Amazon are relative newcomers (Greenbaum, 2006; Branscombe, 2014). All providers offer a vast array of infrastructural management tools, but the focus on the overall integration made the cases for IBM and Microsoft the strongest ones. They offer better overall integration than Google and Amazon (Neeraj, 2015). Commercial companies have the advantage of commercial support and SLA’s. For consistency in future development and investments, this is a key strategic necessity often not available when dealing with Open Source solutions (Vaughan-Nichols, 2015). 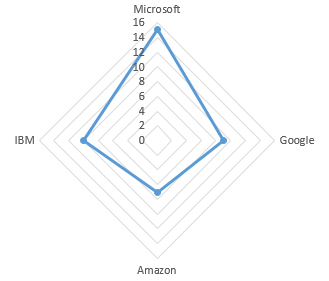 The applications of Microsoft are seamlessly integrated with their Azure Cloud solution where the other providers still fall behind with this overall integration (Seroter, 2015; Finnegan, 2016). An important characteristic of connected information systems (ISs) is that alone they have specific information but through the connection with other systems this information is being enriched and more useful for a broader range of people and layers within an organization. This connection has become more intense and integrated through the use of digital information systems (Stair & Reynolds, 2016). By using digital ISs the different layers within an organization can share more easily information where this was almost impossible before. The kind of information needed and the groups served is clearly reflected in the triangle in figure 1 (Anthony & Morton, 1971; Anthony, 1965), which can be very well related to the IS triangle from Laudon & Laudon (2015) in Appendix A, figure 2. LC should extract from this that their future ISs must serve the different layers in their organization so information can be shared by all of them. Cloud computing is virtualization of software, platforms and infrastructure. This is called Software as a Service (SaaS), Platform as a Service (PaaS) and Infrastructure as a Service (IaaS). See Appendix A, figure 3 depicting these functionalities. There is a shift going on in the world from having computers and ISs on premise towards the Cloud. Obvious reasons to choose for Cloud computing are optimized scalability, redundancy and lower costs (Jamsa, 2013). Scalability means that LC can easily and cost effective scale up or scale down virtual machines, processers, memory and storage. When the demand peaks LC can scale up and when the peaks are low LC can scale down for a fraction of the costs, time and recourses needed before. Through redundancy LC can easily duplicate servers, disk storage and networks. This can also increase the speed of work. The Cloud offers attractive prices for LC through resource pooling, where many companies share IT resources. All the work needed to keep up the servers, infrastructure, licenses and security is handed over to the Cloud provider. All these elements make the entry costs for LC much more attractive than creating an on premise environment (Chee & Franklin, 2010). The analysis of Cloud computing must be embedded in a strategic approach when designing and deploying the new ISs within LC. The existing operations and systems will be integrated into the new ones and strategic systems integration & information planning should be applied when transforming LC towards the Cloud. All must be aligned to the strategic goals of LC with a focus on customers, suppliers and stakeholders (Galliers & Leidner, 2009). PaaS can be described as a set of services used for the execution of applications. 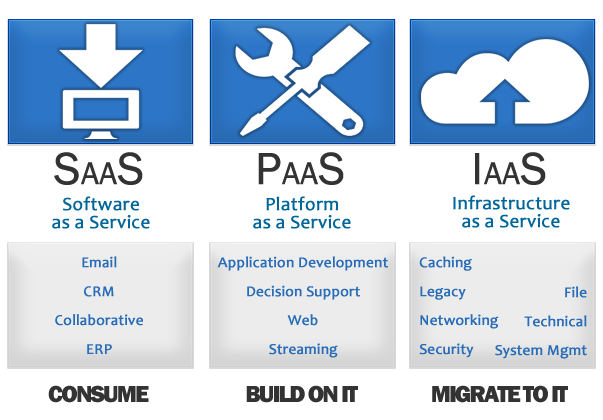 IaaS is a separate service and often the foundation for PaaS which offer the foundational elements for SaaS. Together these three elements form the online Cloud solution proposed by MTOC. See Figure 3 in Appendix A showing the functional elements that can be found within these three pillars of the proposed Cloud solution (Amies et al., 2013). 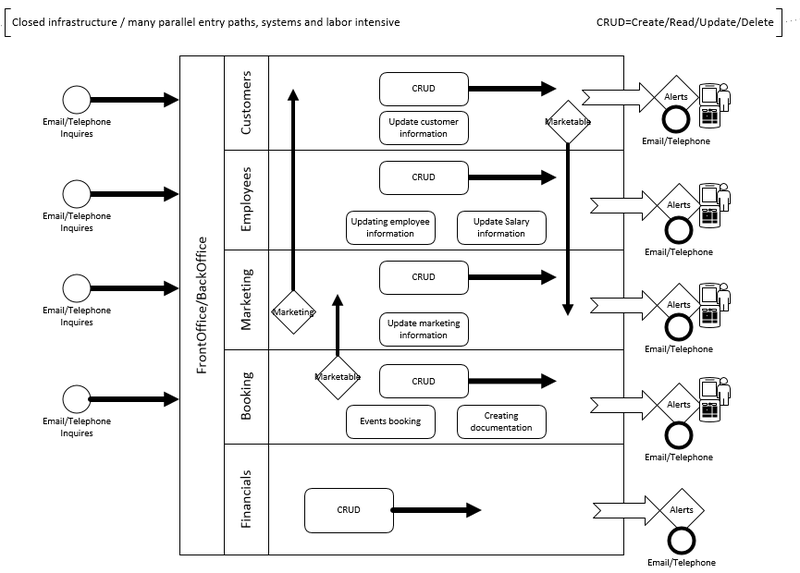 The proposed fully integrated Cloud solution can capture knowledge management in the supply chain (Fletcher & Polichronakis, 2007) because this information can easily be extracted from shared information where all applications work together and function on exchangeable data in a document management system where workflows guide the information flow. This tight integration of applications is also the reason why the related applications are differently implemented and deployed than normally is done. This can lead to disruptive changes through disruptive technology. LC must be aware of this and senior management should guide and emphasize the change processes needed to move the organization into new directions (Lucas & Goh, 2009). Selecting Cloud solutions is more or less the natural successor of selecting software packages where the latter was the succession of selecting components. Before this selection of components, systems were developed in-house. Damsgaard and Karlsberg (2010) defined seven principles for selecting software packages, which can also be used by LC for selecting Cloud solutions. LC should extract from the seven principles that they must choose for a Cloud partner on the long term. This partner must have a huge client and knowledge base where LC can benefit from. They should be compatible with many propriety systems and applications and be ready to adapt and integrate all the new ones. LC must be sure that it can have access to all the knowledge it needs to secure its competitive market position and the Cloud solution must be based on all well-known standards (Damsgaard & Karlsberg, 2010). These seven principles seem to make Microsoft the preferred Cloud provider with the most benefits for LC. This report emphasized that these benefits for LC include being future proof, having more competitive power and better client adaptability through a system that is available anytime, anywhere and on any device where customers and suppliers are fully integrated. It can be concluded from this research that LC must make the transition from an on premise towards a Cloud hosted IT infrastructure. For LC this has several benefits including increased competitive possibilities, decreased infrastructural and operational costs and being able to down or upscale when demands in the market change. This study also showed the necessary changes in the business processes of LC from being fundamentally paralleled and labor intensive towards a better integrated and aggregated business process model with open characteristics where all the different layers and suppliers have access when needed anywhere, anytime and on all devices. Another conclusion that can be drawn from this report is that it is important for LC to make the choice for a Cloud provider that can leverage the infrastructure, platform and applications needed to support their newly to implement business processes and IT landscape prepared for the future. It is recommended that LC phase-out its on premise infrastructure and make the transition towards the Cloud as fast as possible with a partner who can deliver everything and has the knowledge to make the right decisions. This study also suggests that it should be a partner who is prepared and willing to grow with LC towards a better and more secure online Cloud IT future. Figure 1: Information Systems typology using the triangle of Anthony (Anthony & Morton, 1971; Anthony, 1965). Information systems reaching all layers and sharing information are powerful and can often be found in cloud shared systems. Figure 3: Cloud services and their usability focused on the type of application, product and service.